A good sleeping bag is a must if you are planning to spend some time outdoors. It needs to provide great comfort while keeping you dry and warm, in addition to being big enough so you can move naturally. But how do you get the right one since there are so many options available? To make your choice a bit easier, you will find in this write-up some of the best sleeping bags in the market. These sleeping bags offer excellent insulation and cushioning, and they come in different sizes. Also, we featured models that can fit any budget so don’t hesitate to check them out. How to Store Sleeping Bags? 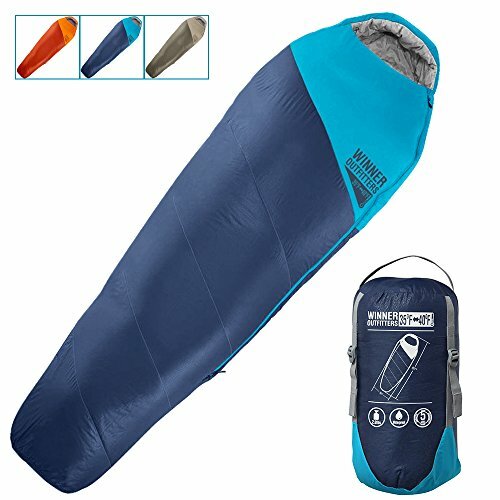 How to Attach a Sleeping Bag to a Backpack? The MalloMe Camping Sleeping Bag should offer you an excellent outdoor sleeping experience anywhere. High-quality materials and premium design features ensure optimal temperature inside the bag and keep water or moisture on the outside. The MalloMe is a double sleeping bag. It measures 86.6 x 59.05 inches which is more than enough room for two adults or children. But it can also come apart to create two individual sleeping bags. This bag comes with two small pillows that match the inside material. The material used for the MalloMe is 100% hexagonal weave polyester. It feels comfortable and high-quality while being very gentle on your skin. The outer shell is completely waterproof, featuring a technology that allows water to run off the outer layer of the sleeping bag. The combination of double-sided no-snag zippers and hexagonal polyester gives this sleeping bag some extra durability. And the S-shape stitches allow the MalloMe to perform great under harsh weather conditions. You shouldn’t worry about getting cold or wet even in near-freezing temperature. The MalloMe sleeping bag weighs only 6.6 pounds and it comes with a carry bag that can be compressed down to 13 inches for easier transport. The MalloMe offers great comfort and usability plus it performs well under bad weather. Also, it doesn’t compromise on other features like weatherproofing or high-quality fabrics and zippers. The MalloMe comes in 5 different colors so you can easily match it to your other camping gear. The small pillows that come with this sleeping bag could have been of better quality. If you use this sleeping bag as two individual ones you may realize that they are actually a bit too small. And some air might come in from the lower part of the bag where the zippers start. The Sleepingo Double Sleeping Bag is one of the most popular sleeping bags around. Great attention to detail and advanced design make this sleeping bag a great option for any outdoor enthusiast. It does come with a slightly higher price tag but the overall build quality and durability make this sleeping bag a worthwhile investment. The Sleepingo bag is quite big, measuring 87 x 59 inches. 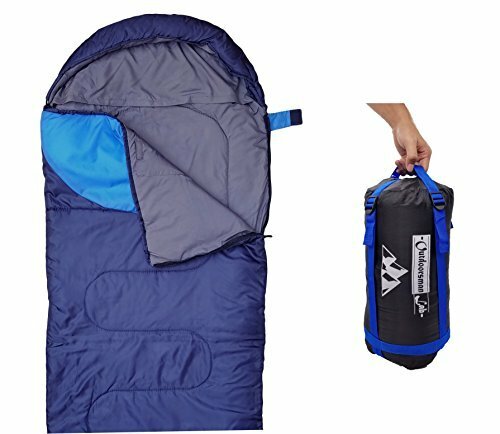 It can comfortably fit two adults and a child, and this bag can be separated to create two individual sleeping bags. It also comes with two small pillows. The outer shell of this sleeping bag is made of outdoor-ready polyester with 210 threads per square inch. This increases its durability and enhances the performance under rough weather conditions. What’s more, the inside is made of cotton and Tetron combination which gives you almost unparalleled comfort. 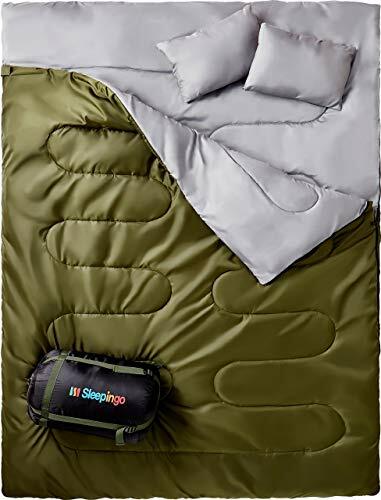 The Sleepingo Double Sleeping Bag is effective down to 32° Fahrenheit so you shouldn’t worry about staying warm even if you decide to go camping in mid-autumn. The weatherproofing is further enhanced by a tough outer lining that provides the required insulation and water resistance. This sleeping bag features Sleepingo’s signature S-stitching for enhanced durability and it comes with a nylon carrying bag. The bag cannot be compressed but the Sleepingo weighs a bit under 6 pounds so it can be easily transported. The overall build quality makes the Sleepingo one of our top picks for a double sleeping bag. This bag offers very good value for money because you get all the necessary comfort and weatherproofing at a reasonable price. 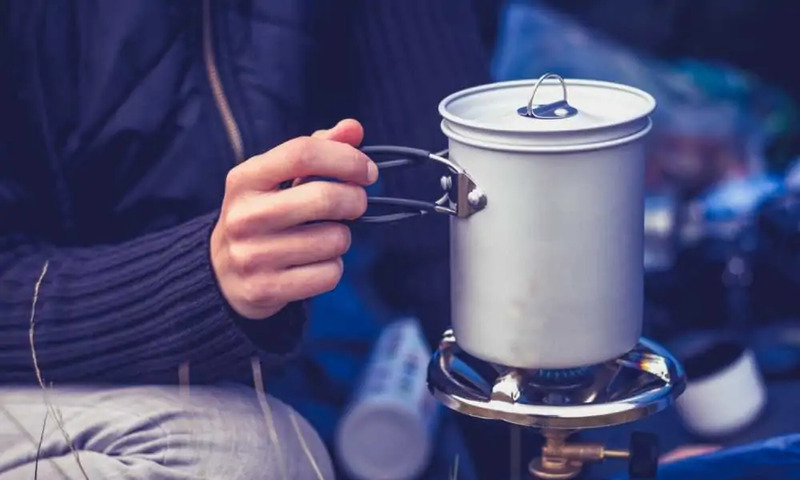 It is relatively lightweight and portable, which makes it a great option for family camping trips. There are very few things that don’t go in favor of this sleeping bag. But the zippers could have been designed a bit better. They may not close tightly and let some air inside the bag. The WINNER OUTFITTERS Mummy Sleeping Bag is one of our top picks for a single sleeping bag. This sleeping bag offers great build quality, advanced materials, and excellent weatherproofing. 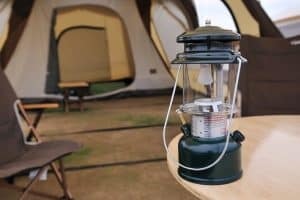 What’s more, it’s reasonably priced which makes it suitable for campers on a tight budget. The WINNER OUTFITTERS measures 87 x 32 x 4 inches and weighs only 3 pounds which makes it very portable. It comes with its own carry bag that can be easily strapped to your backpack. This sleeping bag is suitable for tall people, who will have enough wiggle room inside despite it being a mummy sleeping bag. The foot of the WINNER OUTFITTERS is box-shaped which should give you ample room to move. Also, if you need some extra ventilation, the bottom can be unzipped to let more air in. The WINNER OUTFITTERS is made of high-quality rip-stop polyester that feels very soft to the touch. The lining features Hollow Fiberfill, providing optimal insulation and hypoallergenic characteristics. This mummy sleeping bag is made to keep you warm at temperatures down to 20° Fahrenheit. On top of that, you shouldn’t worry about getting wet or damp. The polyester fabric offers excellent waterproofing and the double-sided SBS zippers prevent any air or water from getting in. Additionally, the WINNER OUTFITTERS features adjustable draft collars and tubes, which increases the overall insulating properties of this sleeping bag. The WINNER OUTFITTERS Mummy Sleeping Bag comes in 3 different color combinations to match your style and the manufacturer offers 100% money-back guarantee. This sleeping bag features great insulation, comfortable fabric, and almost unparalleled portability. The bag also comes with a 5-year warranty so you can have your peace of mind if something unexpected happens. Even though this bag is a great value for the money, featuring premium build-quality, it might underperform in harsh weather conditions. It is advisable to use it in moderate climate and sometimes you may encounter problems with the zippers. This individual sleeping bag is at the low end of the price range on our list. But don’t let this fool you because the Outdoorsman Lab Sleeping Bag offers features worthy of some high-end models. This sleeping bag is lightweight and compact while offering excellent comfort and weatherproofing. The bag measures 85 x 29 inches, a decent size for a one-person sleeping bag. The Outdoorsman Lab weighs around 3 pounds which is about standard. It also comes with a carry bag that can be compressed to ease the transportation. The Outdoorsman Lab is made of 210T polyester that feels very soft and comfortable. The shell is water-repellent and the liner has the ability to dry really quickly. The Outdoorsman Lab filling is synthetic. And although it provides decent weatherproofing, it would have been nice if the manufacturer used a better material, though that would probably jack up the price. The lowest comfort limit is 38° Fahrenheit but this sleeping bag performs the best at about 10 degrees higher. For additional warmth, you can use some extra fleece that should add between 10 and 15° Fahrenheit. The Outdoorsman Lab also features anti-snag zippers that can be opened at the bottom to improve your comfort and ventilation. It’s interesting that this sleeping bag has an inside storage pocket for you to keep things on hand. And it also comes with a built-in pillowcase. AFFORDABLE, LIGHTWEIGHT, PACKABLE SLEEPING BAG: Two sizes and weights. The regular weighs 2.9 lb and the XL weights 3.2 lb. Pair with a pillow or tent gear for a mini survival kit. Easy to carry as it compresses into a compact stuff sack. Use large interior zipped pocket to keep a flashlight, wallet or keys secure. Perfect gift from any grandmother, parent, mom or dad, who longingly search for an alternative to cumbersome, unsafe sleeping bags, and inconvenient blankets. 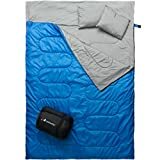 SPACIOUS, INDOOR, OUTDOOR CAMPING GEAR: Get cozy as our regular sleeping bag measures 85" x 29.5" (XL 87" x 32.5") with thoughtful design and construction. The durable shell and quick dry lining is made from soft, durable ripstop nylon. This insulation has more warmth and compressibility than traditional synthetics without the bulk. Our accessory has been rigorously tested under EN13537 protocol with comfort a rating of 47F and lower comfort limit of 38F in the toughest of environments. The Outdoorsman Lab sleeping bag is a great budget option for occasional camping trips. It performs really well in moderate climates with a lot of add-ons that can make your outdoor sleeping experience comfortable. Also, it is very easy to transport and attach to your backpack. Although the materials are nice, this sleeping bag doesn’t feel as well made as some other models. If the weather conditions suddenly change you may get really cold in this sleeping bag. Also, the zippers might let you down after some time. The Ohuhu Double Sleeping Bag comes from a fairly new manufacturer in the outdoor gear industry. But this sleeping bag, nevertheless, features characteristics that are comparable to some well-known brands. 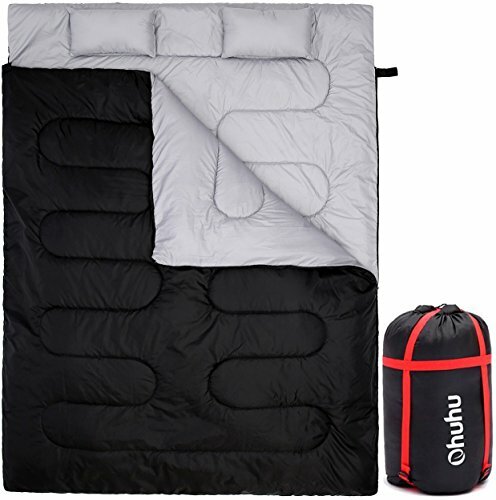 The Ohuhu Double Sleeping Bag measures 88.6 x 59 inches and weighs around 6 pounds. These measurements are standard for most double sleeping bags, offering a good balance between size and portability. The Ohuhu also comes with a carrying bag that can be compressed down to 13 inches, making it very convenient for transport. The outer shell is made of high-quality polyester with Tetron cotton lining on the inside. The shell does a good job of protecting you from the elements and the lining feels soft and comfortable. The weatherproofing is enhanced by a high-end cotton filling. The filling makes this sleeping bag very warm with the lowest comfort zone around 32 to 50° Fahrenheit. Similar to other double sleeping bags, the Ohuhu comes with two cushions and it can be unzipped to create two single sleeping bags. Despite the fact that this sleeping bag isn’t designed by a well-known manufacturer, it still offers great value for the money. The cotton filling makes the Ohuhu extra soft and comfortable while keeping you warm, even in cold climates. There are 4 different colors to choose from so you can match it to your other camping gear. This bag is very warm, but it’s primarily designed for moderate weather conditions. Also, the stitching may not be reinforced enough so there could be some risk of tear. We have created a list of top features that you should look for when selecting the best sleeping bags that fit your outdoor lifestyle. Sleeping bags may be categorized into four different types: alpine, bushwalking, travel, and general use. Even though some features may overlap, these are the most common types of sleeping bags. Alpine sleeping bags are designed for seasoned campers or mountaineers looking for optimal warmth and usability in extreme weather. They are usually mummy shape and feature a water-resistant shell. Bushwalking sleeping bags come in mummy and tapered square shapes. They are very comfortable with enhanced weatherproofing but the materials may not be as high-end as the ones in alpine sleeping bags. Travel bags are commonly used indoors. They are mostly rectangular and offer great versatility and comfort, yet they can provide you with decent warmth in moderate climates. General use sleeping bags are durable and functional. 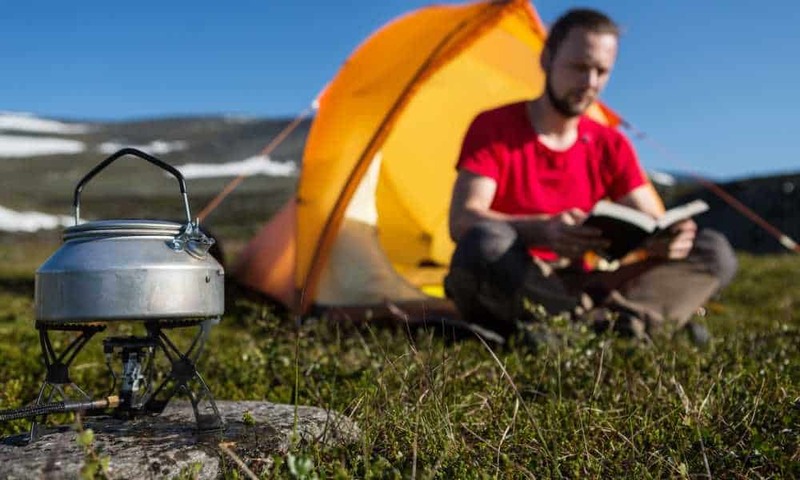 They are designed for light camping and indoor use. They provide great comfort but may be on the heavier side. Also, general use sleeping bags usually don’t come with impressive specs like the other types. The temperature rating may be one of the most vital features of any sleeping bag. Many sleeping bags are rated for 3 seasons but there are marked differences in temperature ratings so you should understand what they actually mean. Summer sleeping bags perform well around 35°F while winter sleeping bag should keep you warm even under 10°F. Most 3-season sleeping bags are rated between 10°F and 35°F, though in reality, the performance of some models may be a bit different. When it comes to sleeping bag insulation you usually have two options: down and synthetic. Down insulation is great if you are looking for a lightweight yet very warm sleeping bag. This natural insulation should last you for a long time and can be compressed to minimize the space your sleeping bag takes up. However, if the down gets wet, it dries very slowly and may affect the insulating properties of your sleeping bag. There are different types of synthetic insulation, though polyester is the most common. It has similar insulating properties as down except heavier. On the other hand, synthetic insulation dries quickly and is usually less expensive than down. The shell fabric is thicker than the inner lining to provide the required weatherproofing and secure the filling inside the sleeping bag. The shell fabric is commonly made of nylon or polyester. Nylon feels silky and has the ability to stretch more than some other materials. It’s also resistant to chemicals, fungi, and tear. Polyester has excellent durability and performs great under extreme heat. Also, it dries faster than nylon which might be a life-saving property if you are camping in difficult weather. However, polyester is not as soft or lightweight as nylon. Regardless of the shell fabric, you should make sure that it is rip-stop and has high-quality stitching. Also, the shell fabric should allow the sleeping bag to breathe sufficiently without letting any moisture in. There are a few different shapes of sleeping bags: square, barrel, mummy, and the elephant’s foot. The specific shape of your choice should depend on your camping needs and the weather you will be exposed to. Square sleeping bags are the most common and they can be single, double, or convertible. These bags offer you a lot of interior space but the insulation may not be as good as some other sleeping bags. Usually, they are very affordable and can be opened in full. Barrel sleeping bags, on the other hand, deliver decent warmth without compromising interior space. Most barrel-shape sleeping bags have a raised shoulder area or a hood to prevent the feeling of claustrophobia. These bags are a good choice for moderate climate backpacking. Mummy sleeping bags are designed to keep you warm in cold weather conditions. They fit snugly around your entire body and feature a draw cord to tighten the hood around your head. Mummy sleeping bags are usually very lightweight and do an excellent job of keeping you warm under harsh conditions. An elephant’s foot sleeping bag is designed to keep the weight to a minimum. These sleeping bags are also shorter than others and can come without a zipper. Even though some models have shoulder straps, there is no hood. Sleeping bags usually come in two sizes: double and individual. As the name suggests, double sleeping bags can fit two adults or two adults and a child. They are more than 80 inches long and more than 30 inches wide but the measurements can vary depending on the brand. Double sleeping bags are a great option if you are camping with your family or partner. 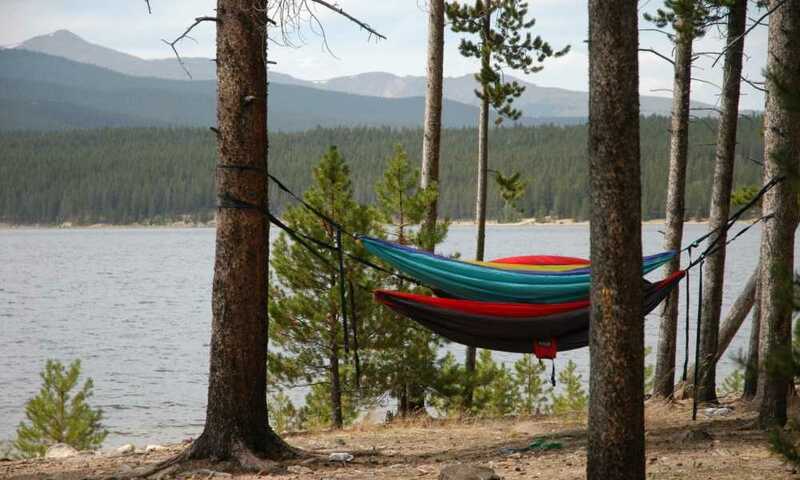 Individual or single sleeping bags are also more than 80 inches long, providing enough room even for tall campers. These bags are more than 25 inches wide and fit snugly around your body. Some types of individual sleeping bags can provide better insulation than double models. Most sleeping bags can be machine washed. Before you stick it in the washer, secure the zippers and Velcro and set to a gentle cycle. The temperature should be under 86°F and you should use a mild detergent/soap. Always check the manufacturer’s recommendations. First, you should place the bag flat on the ground and fold it in half on the long side. Then zip it up all the way and fold again. All the edges should be properly aligned to avoid any problems when you roll the sleeping bag. The choice of a sleeping bag depends on your camping needs, weather conditions, and the number of people you’ll be camping with. Check out the Buyer’s Guide section of this article to help you make the right choice. Once you wash your sleeping bag, you need to let it dry properly. When your sleeping bag is dry, fold it neatly and place it in its carrying bag. 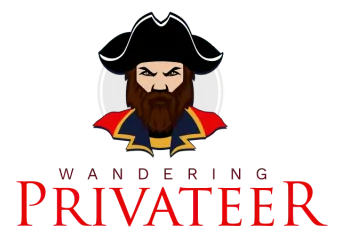 Then you can put it in a cold and dry place until your next adventure. Depending on your backpack and sleeping bag, there are different ways to attach a sleeping bag. The simple way to do it would be to use one or two carabiners to simply connect it to the backpack. Other campers prefer to secure their sleeping bag under the backpack straps. Either way, your sleeping bag should be securely attached to the backpack. A well-built sleeping bag should allow you to have a warm and dry outdoor sleeping experience. Our selection of the best sleeping bags currently available should help you zero in on the right one for you. The Sleepingo Double Sleeping Bag is our top pick in the double sleeping bag category. Overall, it’s the best value for the money, offering great weatherproofing and usability. On the other hand, if you are looking for a single sleeping bag you should check out the WINNER OUTFITTERS Mummy Sleeping Bag.